Three footballers have been diagnosed with serious heart conditions after being given “unidentified substances” by their Cypriot clubs to help recovery, claims players’ union FifPro. FifPro wants the Cypriot FA and Uefa to begin an urgent inquiry to “establish if their team-mates are in danger”. 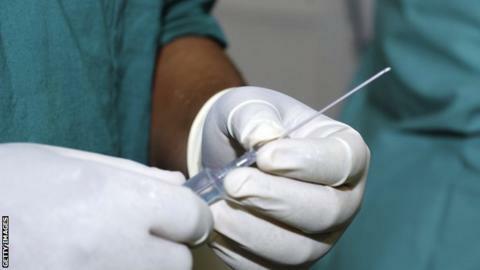 It says “at least” four Cypriot top-flight clubs have given the substances – some intravenously – to players. None of the clubs or the players diagnosed have been identified. FifPro, which represents about 60,000 players across the world, says it is providing medical and financial support to the affected players, alongside the Cyprus’ players union. It says the substances were used to aid the physical recovery of players and have been administered since the start of the 2017-18 season. Some of the players who were at one of the four clubs last season are no longer playing in Cyprus. “Because of concerns there is a link between the unidentified substances and the serious heart condition of the three players, FifPro is calling for football authorities to help identify what was administered to them and to establish if their team-mates are in danger,” it said in a statement.